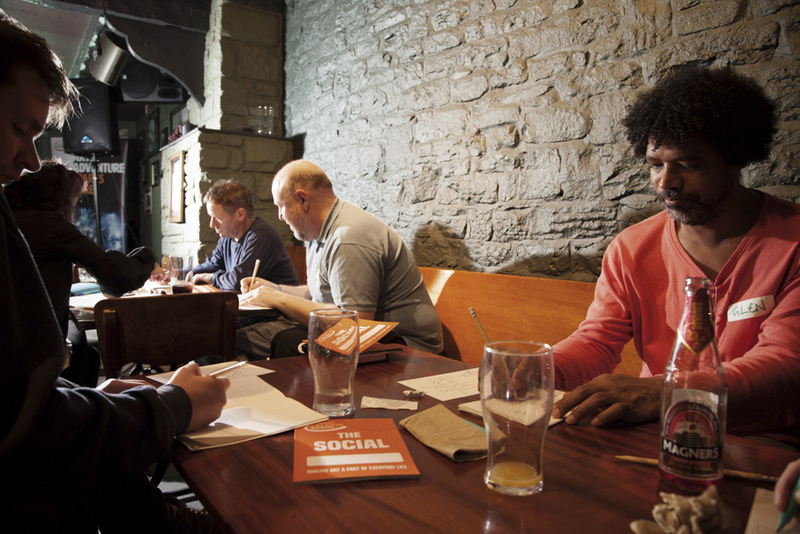 It’s the second of Creative Scene’s ‘The Social’, an opportunity for North Kirklees’ creatives to network and learn from others. 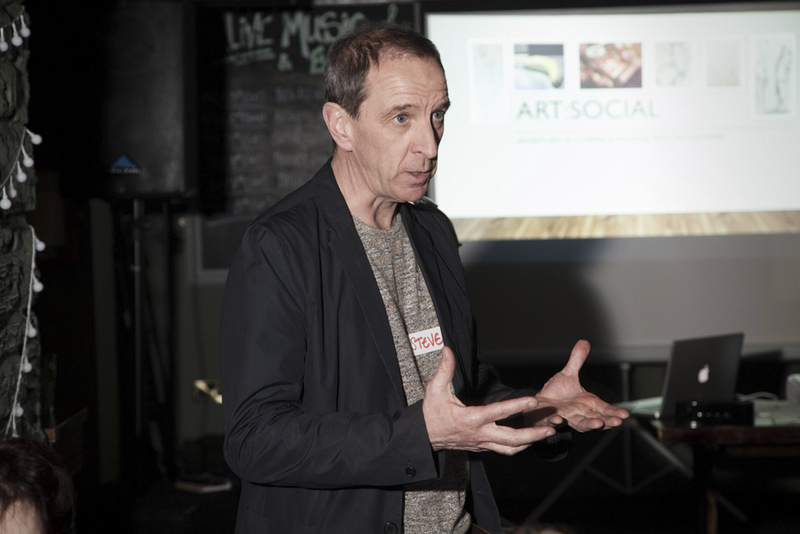 But also, as evaluator Steve Swindells from Huddersfield University points out, a chance to hear from those who can help shape the direction of this innovative arts programme. There’s an eclectic mix here tonight and I’m pleased to see long-standing Creative Scene supporters, Sonja, Ashleigh and Duncan are among them. On tonight’s bill is visual artist Matt Worden who’s planning to get us to see the world differently with an evening of observational drawing. 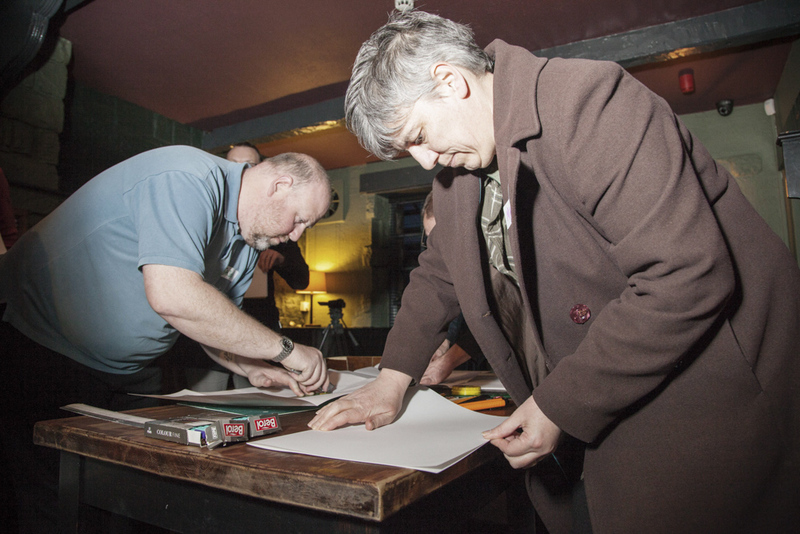 The evening unfolds into part drawing exercises and part autobiographical talk. 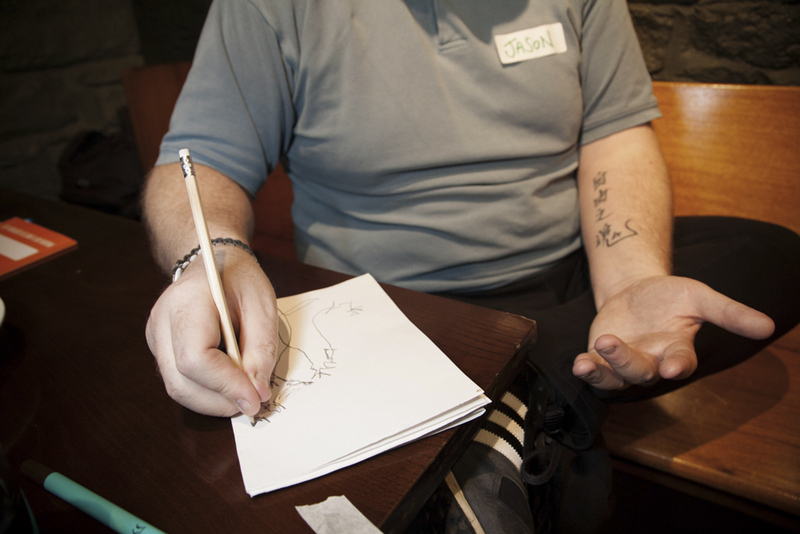 Matt tells us of a career in the NHS involved in socially-engaged art practices. 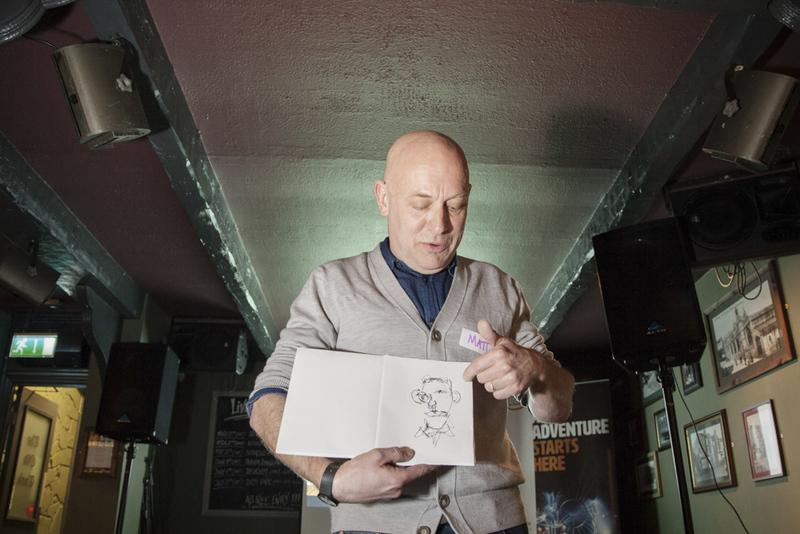 Fifteen months ago he took voluntary redundancy and now uses art in leadership training. As we get onto our next exercise – drawing a horse upside down – it’s clear Matt loves teaching people to draw. And it’s clear people here are enjoying being taught. When we turn our horses the right way up – hey presto – even the self-proclaimed non-drawers are surprised with their equine sketches. Some more exercises. Next we’re focussing on our own hands. First we draw just the creases in our skin and then we get to draw the whole hand. It’s great fun. My cack-handed drawing is better than the one with my ‘proper’ hand. But there’s a more serious side to all this than just making marks on paper. Our participants are beginning to see how useful it could be to their own practice. “Your horse was amazing,” I say. 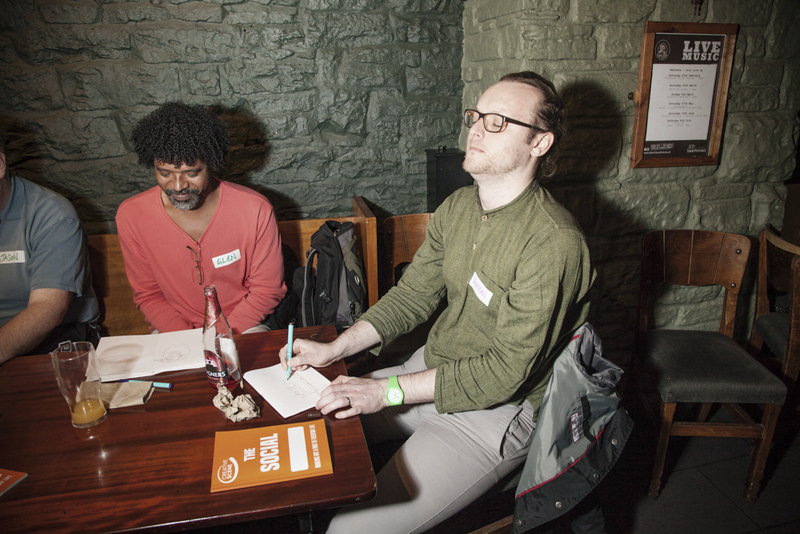 The next Social is on Thursday, 6th April and is all about socially engaged art practice featuring Bo Olawoye, from Nottingham’s New Art Exchange. Email Creative Scene if you’re interested in coming along.